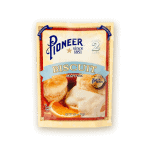 Warm hearts and bellies with this comfort food staple. 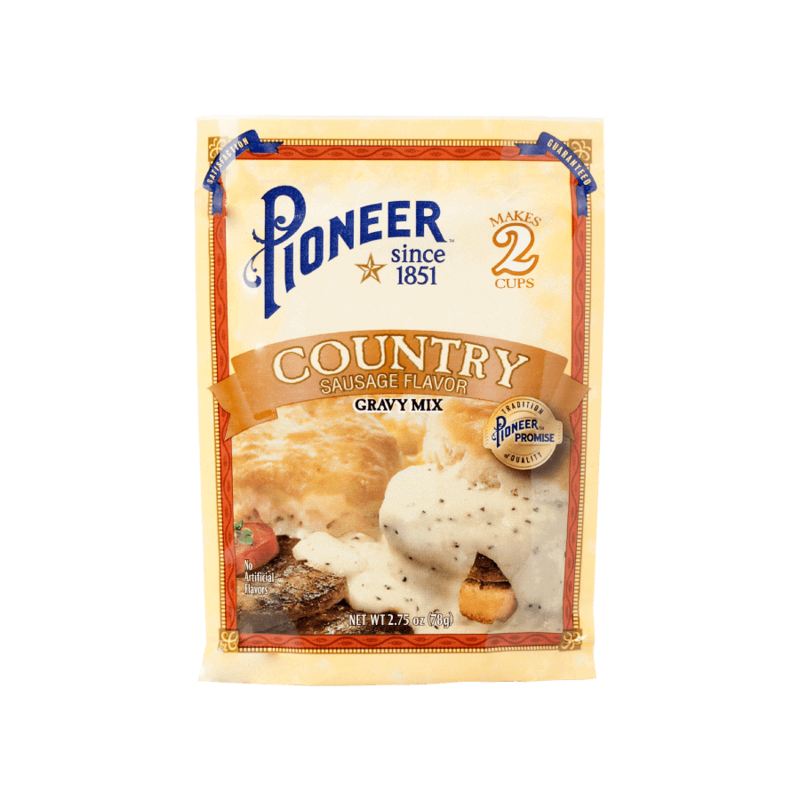 Expertly crafted with you in mind, Pioneer Country Sausage Gravy Mix is thick, creamy and infused with the unmistakable flavor of savory sausage. 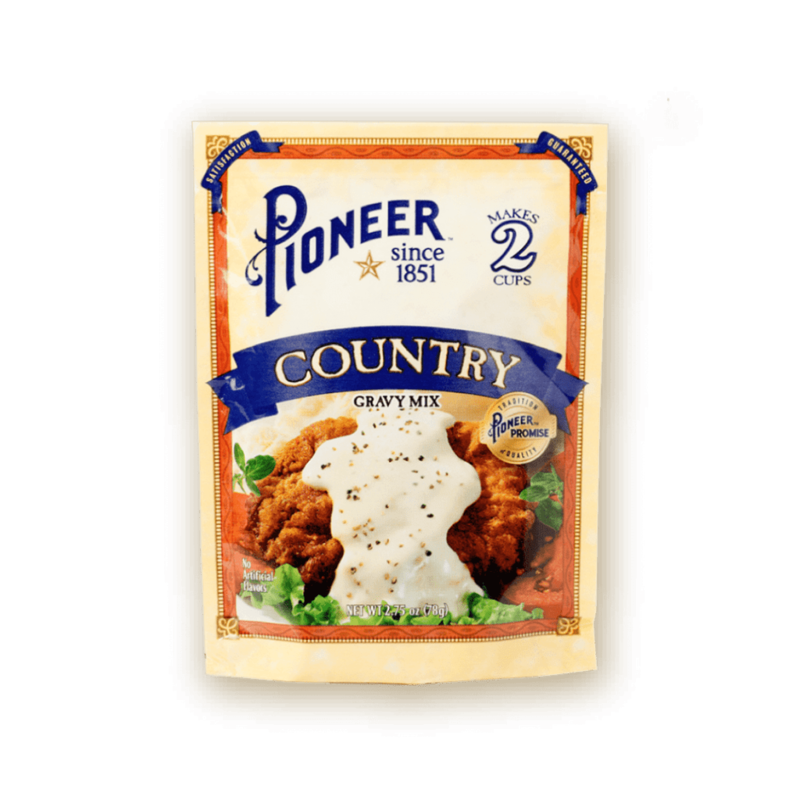 Whip up a package of Country Sauage Gravy with your next meal and enjoy a no fuss, memorable homestyle meal that will keep friends and family coming back for more. BLEND Sausage Gravy Mix with 1/2 cup cool water. 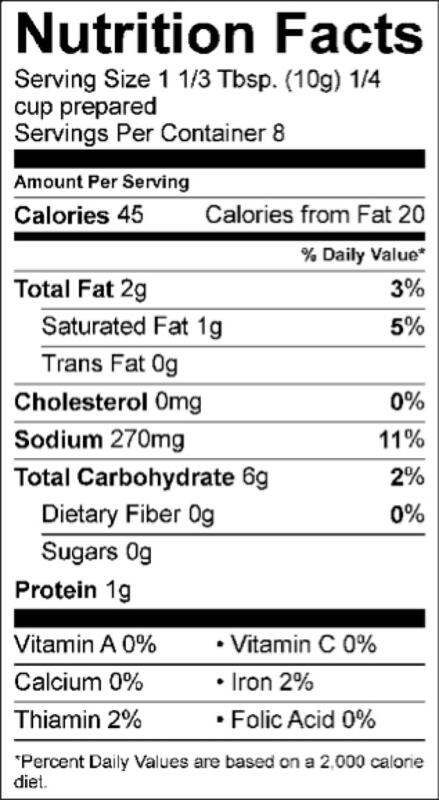 GROUND PORK, PORK STOCK, PEPPER, ONION, NONFAT MILK, MOLASSES, YEAST EXTRACT, NATURAL FLAVORS, DEXTROSE, SODIUM CASEINATE, WHEY PROTEIN CONCENTRATE, MONO & DIGLYCERIDES, SODIUM CITRATE, CARRAGEENAN, DISODIUM GUANYLATE AND INOSINATE (FLAVOR ENHANCERS).